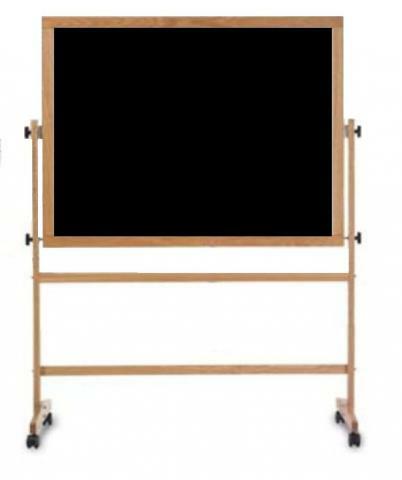 This portable chalkboard is framed in a solid wood, rolling easel. 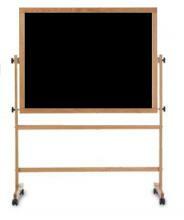 The Porcelain Enameled Steel Chalkboard surface is is backed by a 50-Year Manufacturer Guarantee. Porcelain Enameled Steel is magnetic and resists scratching and fading. 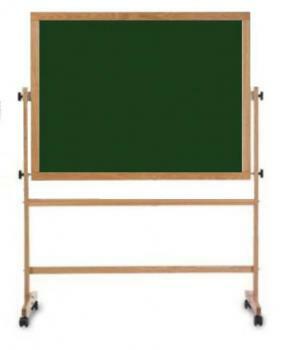 The Chalkboard surface is double-sided and reversible. It is available in your choice of Black or Green (recommended). Locking, heavy-duty casters allowed this Portable Chalkboard to move easily around your classroom, office, or school. Choose your Chalkboard size.